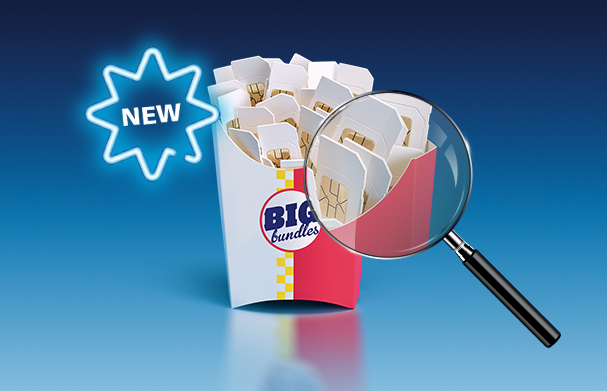 The NEW data Big Bundle tariffs now offer even more minutes, texts and data for your customers and starting from as little as £10 a month, there’s something for everyone. Order now and start giving your customers more for their money. We’ve also extended our data rollover offering to cover all data Big Bundle tariffs meaning all Pay As You Go customers can take advantage and carry over their unused data from one month to the next. Find out more about data rollover here. Don’t forget that International Bolt Ons are also inclusive to all data Big Bundle tariffs of £20 or more and customers with the £10 and £15 data Big Bundles can opt in for only £2 per month. Let your customers take advantage of these new rates and order the NEW data Big Bundle tariffs today. How do the changes affect existing customers? From 23 August all existing customers will be automatically upgraded and can start taking advantage of the NEW tariffs. And don’t worry, all existing stock will also be automatically upgraded and can still be used until the expiry date. You told us how to make trading easier and we listened. In time for the all-important Christmas period we delivered you a brand new platform.